What Does Easter Mean to a Christian Widow? Never before has the truth of Christ’s death, burial and resurrection meant more to me than it has in the last 7 years of being a widow. This weekend as I meditate on all of those events, my heart feels so many different emotions – sadness because of the sins of the world (including my own) that caused God to send His only Son to earth to die for my sins; gratitude that God and Jesus love me enough to do this for me; confident hope that because I have repented of my sins, belief that Christ’s death paid for my sins, and belief that He rose from the grave and is alive, one day I will be with Him in heaven where my husband and other loved ones will be waiting for me. I am a deep-feeling and very sensitive person to the point that whenever I really think about a sad or traumatic event or even the possibility of an event such as that, I can actually feel pain and fear and all the other emotions that go along with it. It doesn’t take much for me to imagine what the women who followed Jesus were experiencing. Shock at what was happening. Fear of how the whole thing was going to unfold. Anger that God nor any of the disciples were doing anything to stop this horrible thing. 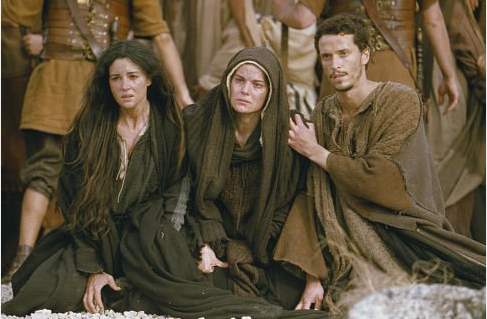 Piercing, gut-wrenching anticipatory grief as they stood by watching Jesus slowly die on that cross. Complete loss of hope that moment when Jesus took his last dying breath. Questions and utter dejection as they followed closely those carrying Jesus’ body to see in what tomb it would be laid. Duty as they went back and made ready the spices and ointments that they would use to prepare Jesus’ body after they had rested on the Sabbath day. Complete and total full-blown grief. The day after the Sabbath, those same women got up at early dawn and went to the tomb taking the spices and ointments they had prepared. But, when they went inside the tomb, Jesus’ body was gone. There in the place where His body should had been were two dazzling angels. One was seated at the end where His head should have been and the other angel sat at the opposite end where His feet should have been. Do you see that mental picture? This is a picture of the mercy seat which was the lid placed over the Ark of the Covenant. 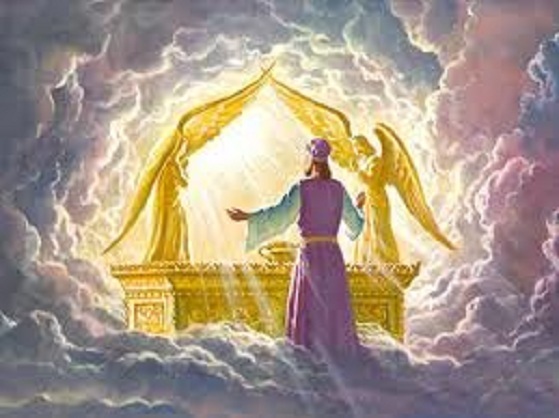 Once a year the Old Testament High Priest would enter the Holy of Holies that contained the mercy seat. He would sprinkle the blood of animals sacrificed for the atonement of the sins of the people. Jesus shed his blood on the cross. His body was then laid inside a tomb. His resurrection occurred. Several women came back to the tomb to prepare his body after the Sabbath. Inside they found that the place where Jesus’ body should have lain was empty. At the place where his head and feet should have been were angels. Jesus blood had become the propitiation for the sins of the whole world. 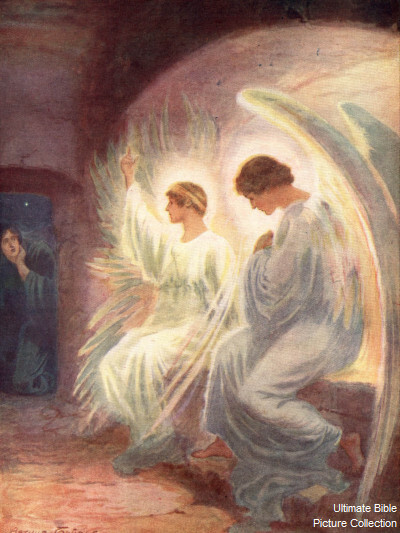 That empty place with the dazzling angels at both ends was a picture of that Old Testament mercy seat. No longer would the high priest need to sacrifice the blood of animals for the atonement of our sins. Jesus paid it all with his own body on the cross. He made that sacrifice giving us the opportunity to individually repent of our sins, accept Christ as our personal Savior and have the promise of eternal life. For the Christian widow whose husband accepted Christ, this is HUGE. This means that not only will we see Jesus and heaven at the moment of our death, but we will also see our husband again some day. This is HOPE in every possible way, shape, or form. I can’t live without this HOPE.